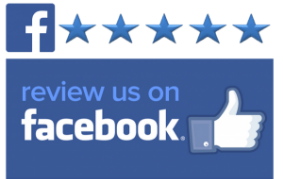 Please take a moment and click on the Google or Facebook Image and leave us a 5 Star review. Great experience. Very informative. Warm, friendly staff. Prior to coming to Marsh Chiropractic, I had allergies when the weather fluctuated. I also had high blood pressure but nothing serious. Overall, I thought I was healthy especially when I went to the gym regularly. After the care I have received from Dr. Marsh, I feel that I am very close to optimal health. I haven’t had to take any z packs for my allergies because they have not been an issue even with the drastic changes in weather we have been having. During softball season I used to live off of aleve, but I haven’t taken any this year! My blood pressure has lowered to 120/80 , before it was 130/83. I haven’t been sick and I sleep much better at night. I am a heavy thinker and researched chiropractic care before I called Dr. Marsh. I found both positive and negative information but I always try to give everything a chance. The biggest problem I had when I came in was my neck pain, and it was the first problem to go once I started care. We fixed the kinks and now my body can heal itself. I believe that you have to feed your mind and body positively and chiropractic care does just that. My advice to someone who desires to be as healthy as possible would be to give chiropractic care a try….we all need preventative maintenance. I brought my 12-year-old son to Dr. Marsh after he began complaining of back pain so severe that he was unable to sit down for long periods of time. This was affecting him mostly at school. Sometimes he would have to stand during class to alleviate the pain. I believe the problem was brought on by his many years of playing baseball and the falls that come along with the sport. After his initial visit of a physical exam and X-rays, Dr. Marsh was able to determine the cause of his pain and immediately began treatment. My son started to feel much better after only two visits! I thought he would be nervous about the adjustments, but every day after school he would ask me if he got to go to the chiropractor that day. It has been a pleasant experience for him. Also, my 16-year-old daughter has been seeing Dr. Marsh for several years due to her scoliosis. She sees him once a week to receive an adjustment. She looks forward to these adjustments because he does a great job at keeping her comfortable in between visits. The curvature of her scoliosis has improved and she no longer complains of back pain. I, too, receive adjustments once or twice a month simply to feel better. These adjustments also help with my headaches and relieve tension in my upper back due to stress. Dr. Marsh and his staff are professional and caring. They go above and beyond to help us out in any way. I wouldn’t go anywhere else! Before I came to Dr. Marsh, I couldn’t remember the last time I felt 100%. It was probably 2010-2011. I had several health problems…my left arm had been throbbing for about 3-4 months; both arms/hands were weak and I couldn’t raise them up without pain; I was unable to sleep because of my arms/shoulders; I never felt like was happy and always felt malaise – I had no energy. I tried finding answers before calling Dr. Marsh’s office through my primary care physician. The x-rays and CT they took still didn’t give me any answers. I was scared to go to a chiropractor and very skeptical. I didn’t know who to trust with my spine. Since receiving care at Marsh Chiropractic, I am able to use both arms and strength is returning. I’m able to grip and raise my arms without pain. This office is full of such precious, knowledgeable, and caring staff. Dr. Marsh listens to me and my complaints about my body and does a great job caring for my spine. My advice to someone who desires to be as healthy as possible would be to give chiropractic care a try. Trust what they have done for me. I feel like a new person and have confidence in this group of wonderful people. Dr Marsh and his amazing staff offer loving care and treatments that help heal not just get out of pain cycles! When i first came to see them I had terrible headaches,vertigo ,shoulder and sciatic pain. With all their modalities plus great adjustments I no longer have vertigo,few headaches and pain tremendously less. The office staff as well as Dr Marsh help teach you ways to live a healthier lifestyle. I would highly recommend you to seek treatment for any kind of health issues as they are awesome at helping heal without drugs that just mask the pain and have side unhealthy effects . Get ready to be loved and healed in a special way!! I began having constant arm pain, blisters on my hands, muscle weakness and my doctors treated me like a pain med seeker. I told them I don’t want pain meds, but give me answers why this was happening to me. No one could give me answers. I had no where to turn. I took a huge leap of faith and made an appointment. That was about a month ago. Thanks to Dr. Marsh and his wonderful staff, I no longer have arm pain, the blisters are now gone. I am regaining strength in my arms. He listened to me. That is something no one else did. I am so excited to see how much better I am in another month. I am now looking forward to being more active, without the pain. I came to Dr. Marsh’s office during the first part of my second trimester of pregnancy. Some of the changes that occur during pregnancy were adversely affecting my mobility, sleep, and general functioning. For example, discomfort in my neck was making it difficult to drive, and discomfort along my bra line made it difficult to sleep. I had tried chiropractic care during my first pregnancy but it was not very effective. The practitioner had limited experience with pregnant women. I was optimistic about chiropractic care; it had helped my sister and friends. I have noticed several positive changes since receiving care at Marsh Chiropractic including: more flexibility, relief from pain/discomfort, and ultimately the baby was positioned well. Marsh Chiropractic is different from what I have experienced in the past. The office staff are warm, friendly, and accommodating. Dr. Marsh is obviously committed to his profession and patients. My advice to someone who desires to be as healthy as possible would be to keep an open mind and give chiropractic care a try. when you have sciatic nerve pain and you are told that physical therapy and ibuprofen are your only options to combat it,well,there is not enough ibuprofen to stop the pain and physical therapy was a waste of time and money.My best friend recommended chiropractic care…im so glad i listened!!!!! Dr. Marsh and his whole staff are amazing!!! They are knowledgeable,efficient, compassionate.They actually CARE!!!!! For years,the burning pain in my back and legs was miserable.i was miserable.i couldnt sleep,climb stairs,sit,or sometimes even walk without PAIN!!!! After 3 weeks of treatment,praise GOD and thank Dr.marsh,i can sleep through the night,i dont wake up crying,i can walk comfortably,sit comfortably,live comfortably,Dr Marsh, Heather,& Allie…you have given me my life back, Thank you with all my heart!!!!!! I can’t thank Dr. Marsh enough for the care he has given me over the past year. I was truly at the point of wondering if I would ever feel good agin. His care for me caused me to have less pain, better posture, and ease of mobility. While I hobbled into your clinic almost a year ago, I now walk with ease and determination. My self-esteem and feeling of well-being have improved greatly. I believe that chiropractic care has seen me through some very tough times and will continue to help me to have better health and a sense of being well. My blood pressure is now in the normal range and I sleep through the night. I began chiropractic care because I had horrible sciatica in my left leg and I could barely walk. I had always been unsure of chiropractic care but decided to give it a chance after other treatments did not work. My family doctor attempted to treat the pain with steroids but there wasn’t any significant results. Since I began chiropractic care, my pain has been relieved tremendously…90% or better. It is great to be able to walk freely again – my personality is better as well. Everyone at the office is warm, friendly, caring, and professional. I came to Dr. Marsh’s office with chronic low back pain, discomfort while sitting and standing, and low flexibility. I have not physically felt really good in a few years at least. I tried physical therapy while I was in the military but having constant adjustments makes the difference. The previous chiropractic care I received offered immediate relief of discomfort but not lasting. I was not skeptical about chiropractic care because I’m willing to try anything to improve my quality of life. Since receiving care from Dr. Marsh, I’ve noticed more flexibility and reduced discomfort as well as being able to use my back without severe pain. This office is different than any I have experienced in the past because its an intense combination to hopefully remedy a chronic issue. If I were to offer someone advice who wants to be as healthy as possible I would tell them to take the time to know what you need so you can better your quality of life. Time without pain and discomfort is so amazing that you never realized how bad it was until it is better, or shows improvement. Prior to coming to Dr. Marsh’s office, I had shoulder pain for 7+ years. I had also been dealing with shoulder pain, groin pain, and stiffness in my neck and upper back. I had tried several things before coming to Dr. Marsh’s office….I had a surgical consult, physical therapy, massages, and chiropractic adjustments at random when I felt like I needed it. I had never done a chiropractic program before. I would just come in when I felt really bad or during intense training. I was skeptical to commit to coming in 3 times a week. Since I began my care plan and came in 3 times a week I now have no shoulder pain, I am looser in my mid back, I take much less ibuprofen, and I am able to do exercises not done in years. The staff are very attentive to my concerns, knowledgeable to where I felt comfortable making a commitment, and very flexible with time. The program/multiple treatments was what I needed. I had looked elsewhere for so long and I am so glad I took the plunge. Its changed so much for me! Dr. Marsh is amazing! He has kept me and my family in excellent health for years! If you want to thrive instead of just survive, he is the man to see on a regular basis! I moved away 12 years ago and have never been the same since I stopped seeing Dr Marsh. Today I finally got to go back after moving back here a week ago. I could not be happier! He is the best!! !